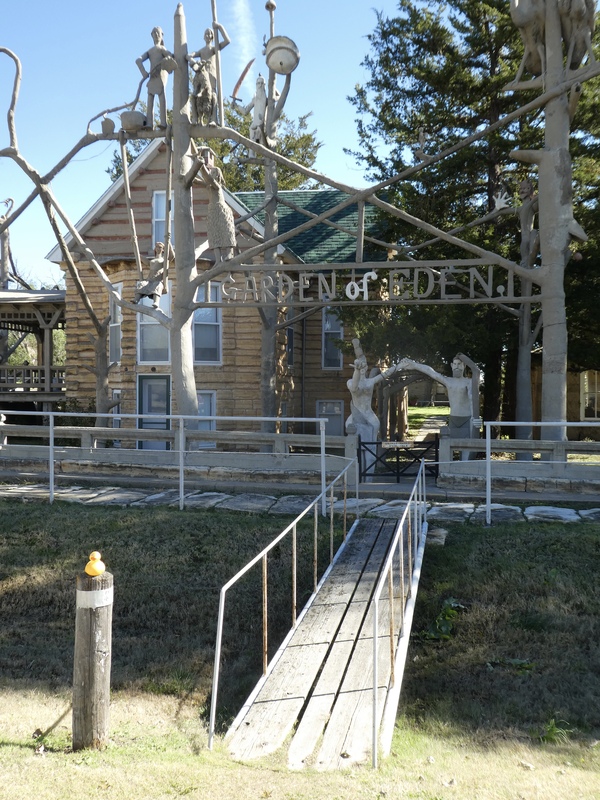 Continuing north from I-70, mom saw a sign for The Garden of Eden in Lucas, Kansas. Here we are, entering Lucas. So, mom, tell me about this Garden of Eden. Samuel Perry Dinsmoor, (1843-1932), a US Civil War Veteran who fought for the north in the Union Army for 3 years became a teacher. Upon his retirement in 1905 he started a second career as a sculptor. He built a 12 room log cabin, with logs made of Kansas limestone. 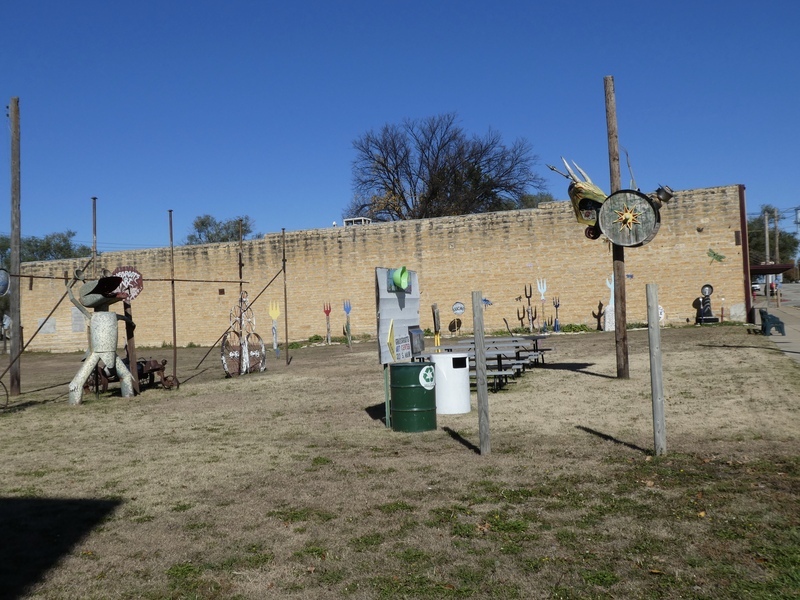 He created over 200 concrete sculptures which reflect his political and religious convictions. Sculptures are inside and outside. In one corner of the lot is the final resting place of Samuel Perry Dinsmoor and his first wife, inside a mausoleum. Tourists that purchase tickets to take a tour of the property can view Dinsmoor’s body inside his concrete coffin. This Garden of Eden had good online reviews, but we decided we did not want to go inside to see more. We saw enough for us from the street. 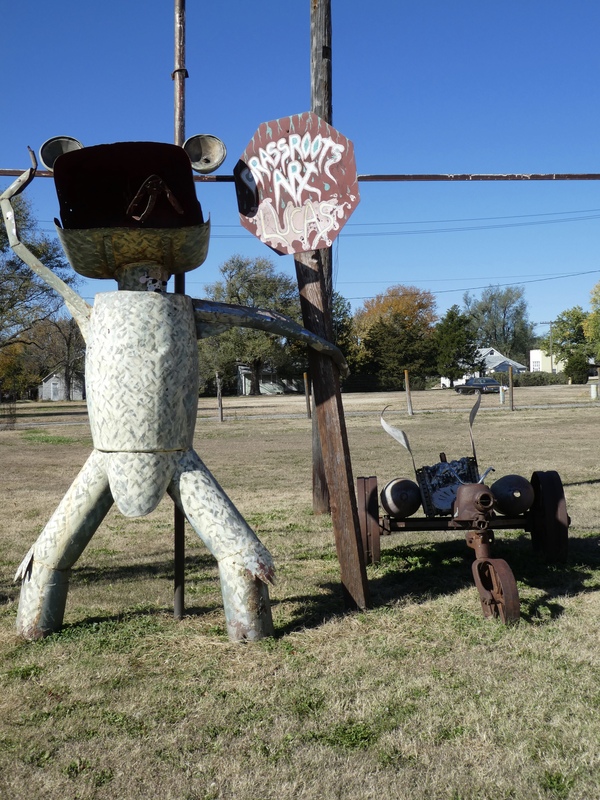 On the welcome plate coming into Lucas, it claims to be the Grassroots Art Capital of Kansas. 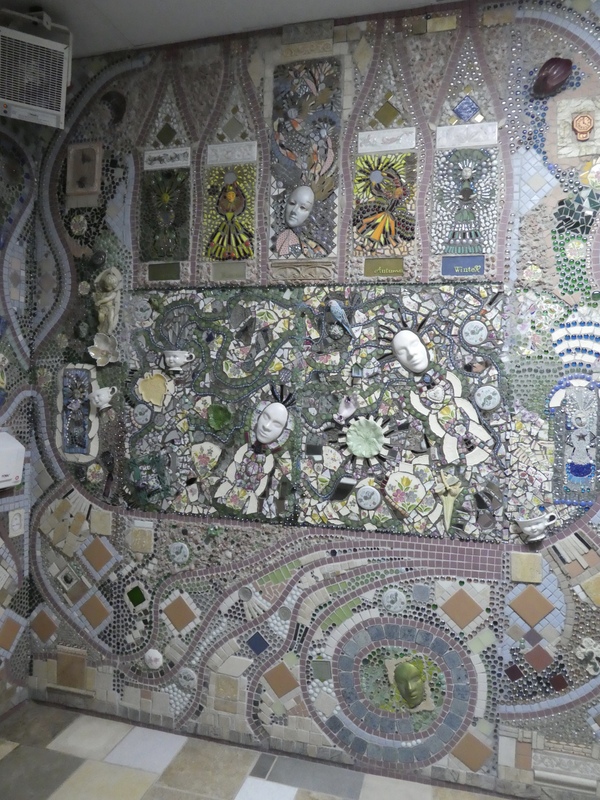 This downtown property has a display of grassroots art. In the back of this photo you can see the fork art section. This was a prominent piece of grassroots art. Our new cow friend, Tari the Cow, is sitting on this, directly in front of the throat. 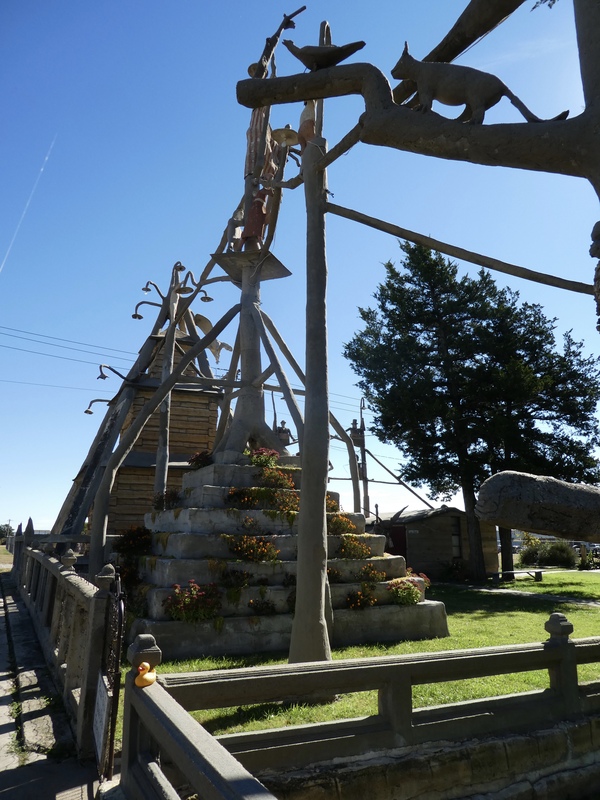 While Lucas is trying to attract tourists, the town realized it did not have public toilet facilities. So this artistic toilet was created. As you can see, Tari the Cow, is on the handle of the real restroom door. This is to represent a toilet with the toilet lid up, forming an entrance. The rim of the toilet provides benches for resting. Let’s go inside. This is an interesting wall. OK, now into the ladies room. 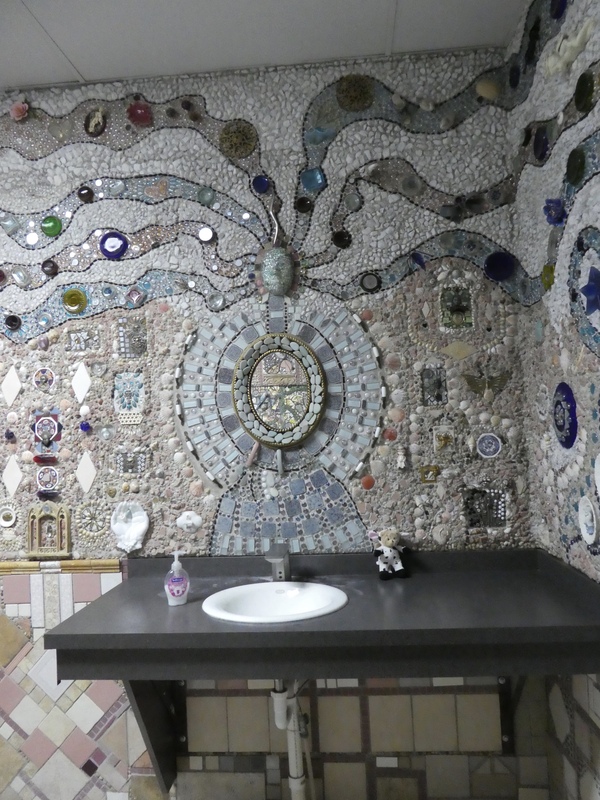 Lots of work and creativity to create the wall by this bathroom sink. 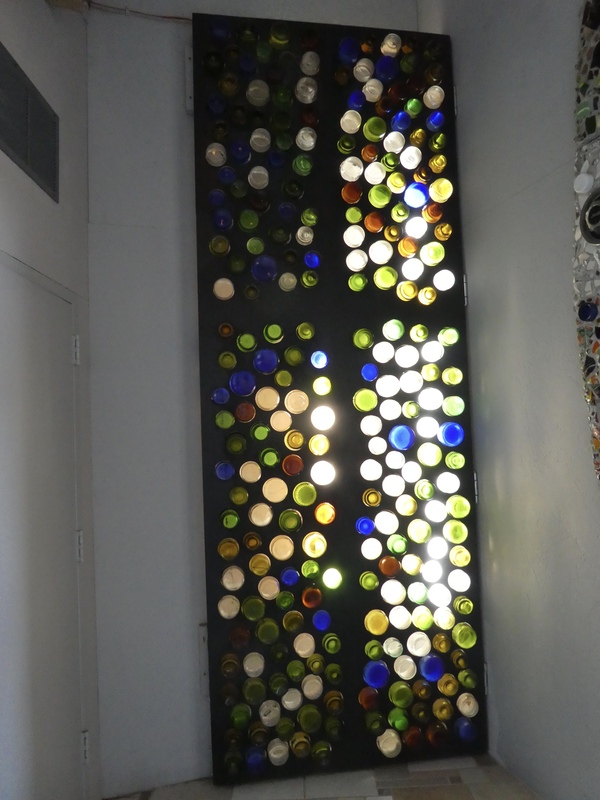 And not to be neglected, the opposite wall is also quite a work of art. I, Zeb the Duck, just don’t know what to say about all this. 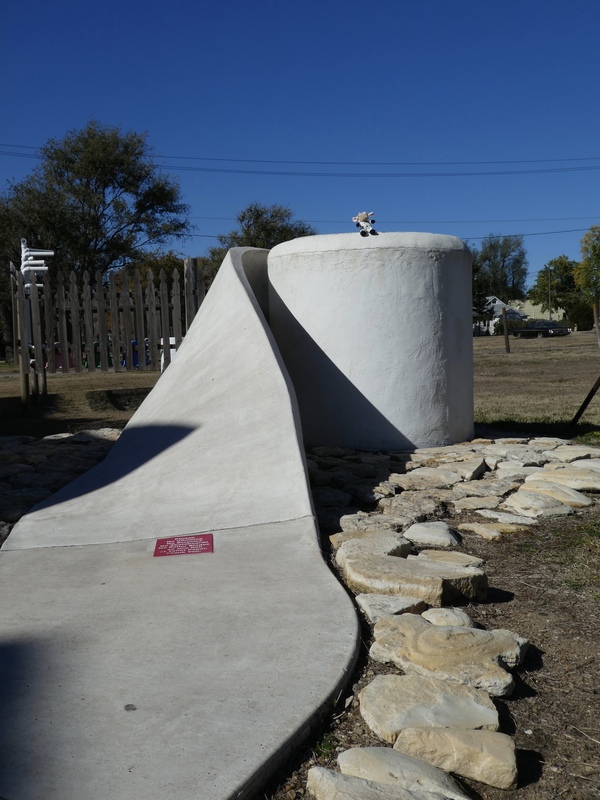 Back outside, we notice that the sidewalk leading to this public toilet is really part of the sculpture of a giant roll of toilet paper. Tari the Cow, likes sitting on this giant roll of toilet paper. 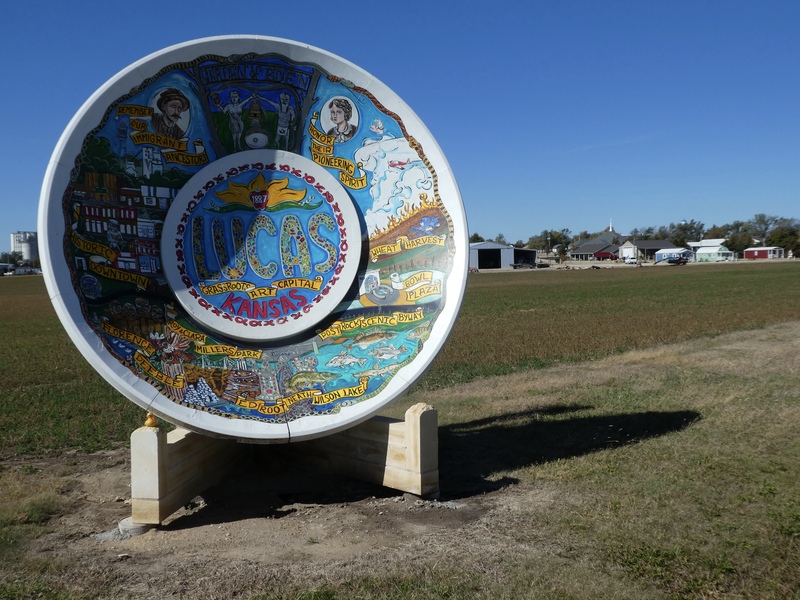 Lucas, Kansas is a very interesting town. 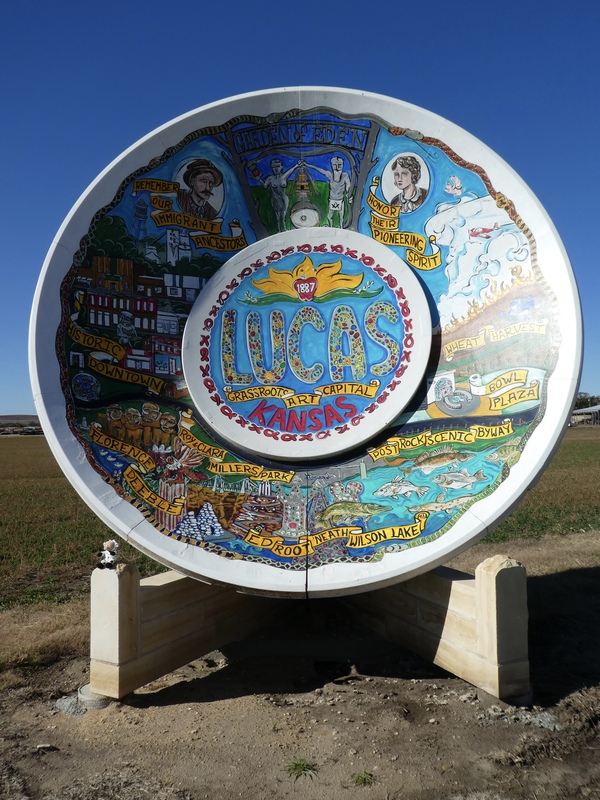 Like many small towns, Lucas tries to create something that will attract tourists and tourist money to their towns. They hope you will purchase something. Perhaps gasoline for your vehicle, a beverage, a meal, maybe some souvenirs. And if the town has a motel, they would like you to spend the night. So, we like to visit many small towns to see what they have and usually purchase something. On the way out of town, Tari the Cow, wanted to sit by the welcome plate. Now we are saying goodby to Lucas, Kansas. Maybe you will stop when you are in the area. 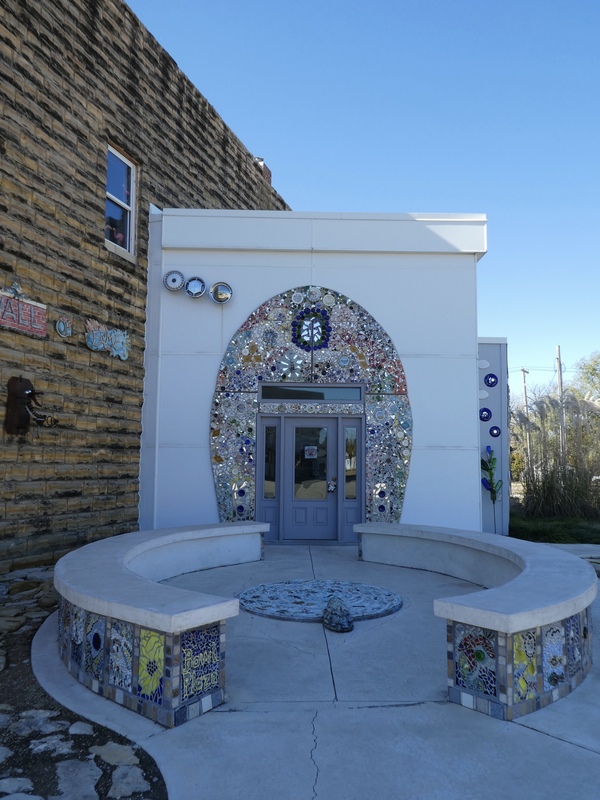 This entry was posted in Kansas, Uncategorized and tagged Colorado Traveling Ducks, concrete sculptures, Decorated public toilet, Garden of Eden, Giant toilet, Kansas, Lucas, Samuel Perry Dinsmoor. Bookmark the permalink. Wow, that’s the fanciest public toilet I’ve ever seen! I have never seen anything like it. One like that in the world is possibly enough?? ?